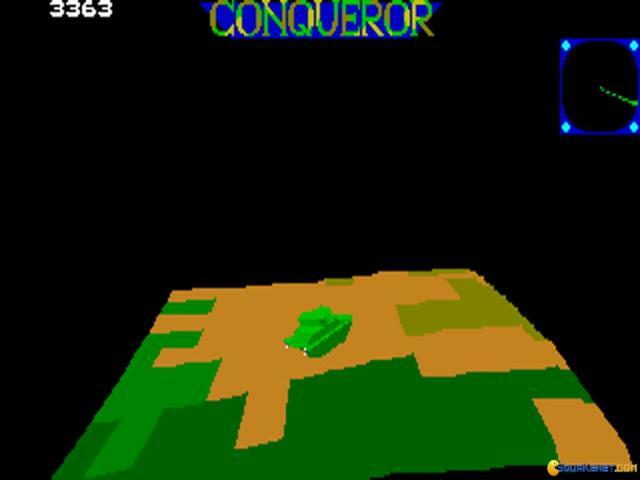 In Conqueror you can play by yourself, taking control of both your tank's turret and movement, or, for the best real life immersion, you can split the controls in 2, have a player control the turret and the top mounted gun, and then have the second player deal with the tank movement. 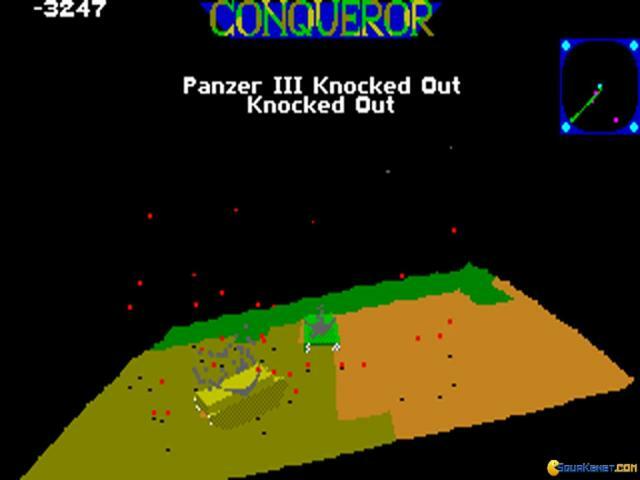 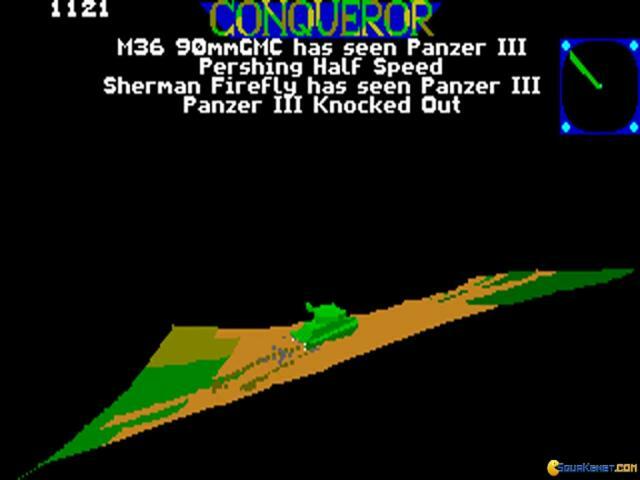 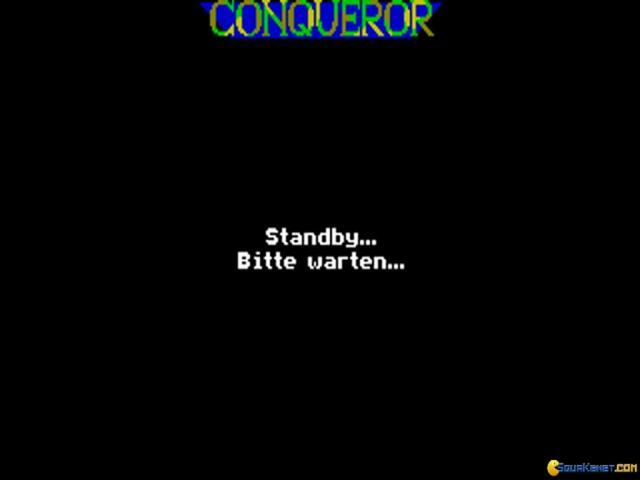 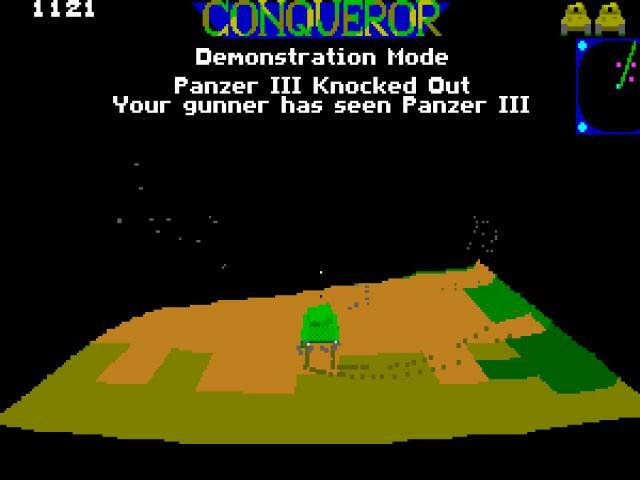 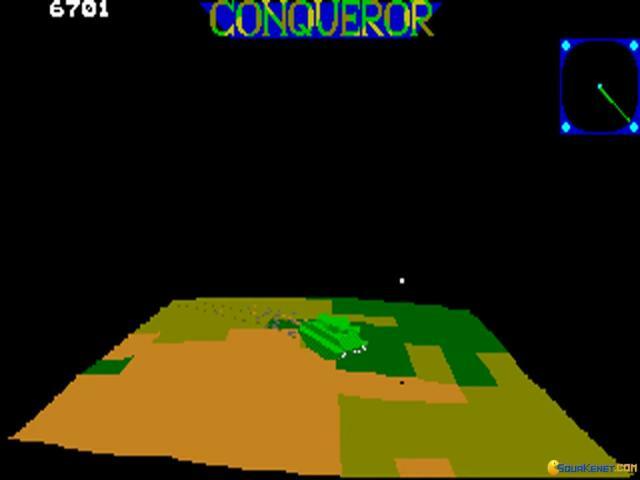 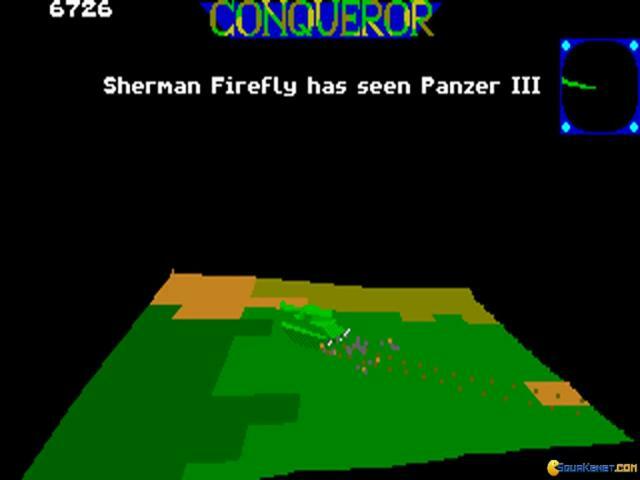 All in all, Conqueror is a very satisfying game, very well produced, with 3D graphics, even if it was only released in 1988. 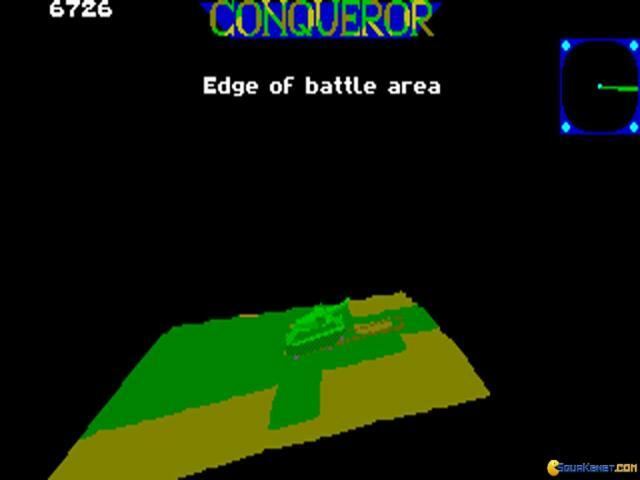 The level of detail is of course as minimal as they could get, but the atmosphere is very nice. 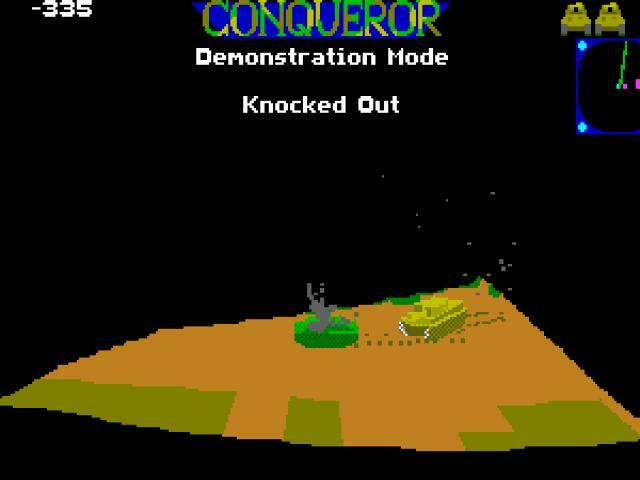 The tanks not only can control realistically, if you employ the use of joystick(s) or controllers, but they also move nice, as if they had mass. The missions are varied, and are very much in the style of real tank operations in a war situation, so that too helps with the immersion. 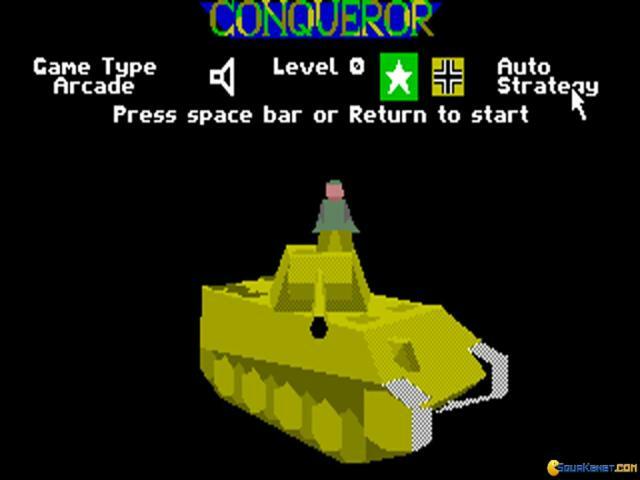 So, definitely, if tank battles is what you were looking for this will deliver. 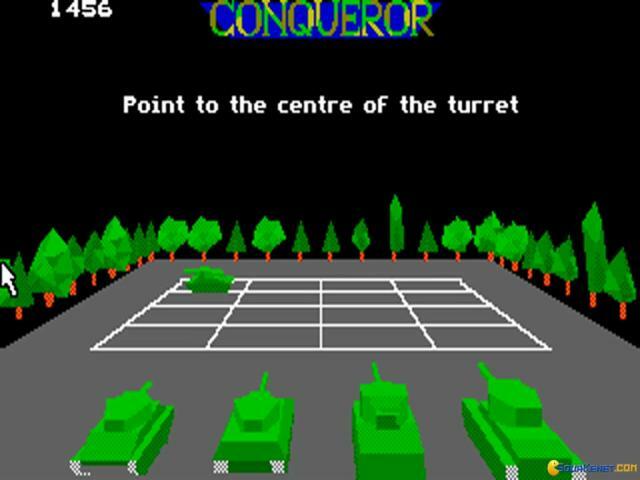 Also, the game has a resource management portion, as you get funds by destroying other tanks, funds which can be used to buy new tanks or better the ones you already have. 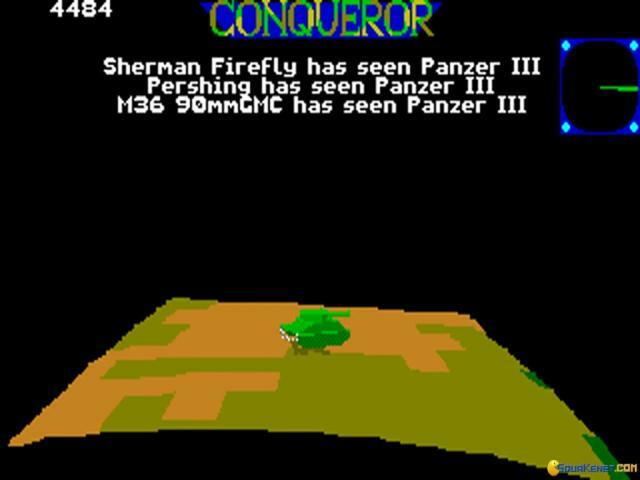 Similar, released in the same year, download Abrams Battle Tank, for something of the same build, but with more colorful graphics.